Lying awake at night, Tom hears the old grandfather clock downstairs strike eleven, twelve, thirtee, Thirteen! How strange! When Tom gets up to investigate, he discovers a magical garden. A garden that everyone told him doesn't exist. A garden that only he can enter. Philippa Pearce OBE (22 January 1920 - 21 December 2006) was an English author of children's books. 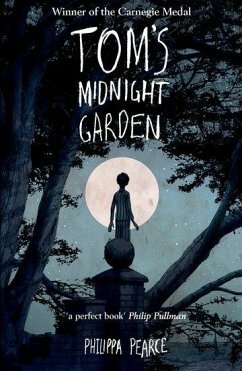 Her most famous work is the time slip fantasy novel Tom's Midnight Garden, which won the 1958 Carnegie Medal from the Library Association, as the year's outstanding children's book by a British subject. Pearce was four further times a commended runner-up for the Medal.